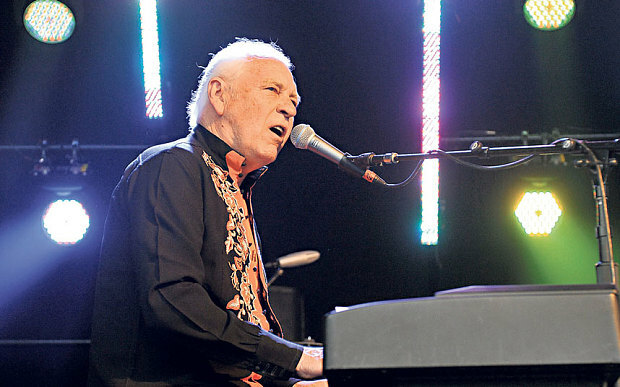 Gary Brooker, 70, found fame in 1967 when he formed Procol Harum and sang A Whiter Shade of Pale that became an instant worldwide hit and one of the most performed songs of all time. Today he lives in Surrey with his wife Franky. My father was a professional musician at the top of his game in the Forties, as a Hawaiian guitarist. I grew up with kind of a strange life. We had our own house in Bush Hill Park, a leafy suburb of Enfield and I remember life being very comfortable. By the Fifties he had a residency at Southend-on-Sea with his orchestra. It must have been quite hard for my mum with him gone five nights a week playing, so in the end we moved there. When I came of age she encouraged me to have a profession, as long as it wasn’t music. My father died suddenly, of a heart attack at 42, when I was 11. We weren’t ready for that and the bottom dropped out of everything. He hadn’t really provided and we’d just moved and bought another place, presumably with a mortgage which my mother was left with. She got a job and was careful with money after that. I don’t think she ever saved; it was make ends meet. I got a paper round after my dad died which involved cycling round at 6.30 in the morning with a heavy bag, especially on Sundays. I interspersed that after a couple of years with helping the milkman out on Sunday mornings on his milk float. What’s nice if you don’t spend beyond your means and you’ve built up some savings, you can go, “I think I’ll get one of those.” Might be a nice car or something you’ve always wanted. How did personnel changes affect your income? We’d just turned professional as The Paramounts just before our cover version of Poison Ivy got into the British charts (#35) in 1964. None of us went to work. We were 17 or 18, going to be a band and had a pretty good manager. 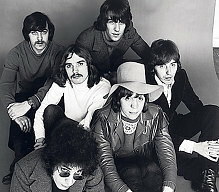 With Procol Harum it was a bit of a mess for a few weeks, bit of a shock. This record we thought would be a hit [A Whiter Shade of Pale – AWSoP] was more than that. I don’t think the music industry was quite ready for something so popular globally so quickly. We got rid of the manager and found another, Tony Secunda, who was a bit more switched on – sometimes a bit too switched on. Paris Match wanted to interview us and he said, “We’ll tell them no. It’s best to keep people wanting.” Whereas Lady Gaga would probably say yes I’ll do Paris Match. We weren’t ready as a band. We had to change two of the musicians. One didn't play on AWSoP anyway, and the other who did you can’t hear what he played. They all to this day earn a slice of that record. I’ve had a couple of those. You learn. The first time it happened I thought I don’t like this. The second one didn’t grab enough back, for expenses. But I’ve been happy with the people I’m with now. Did you ever get into financial difficulty? No, but probably because I listened to the secretary to the Conservative MP! In the music industry people always get chiselled by managers and record companies. It’s quite self-regulating but there are always surprises. 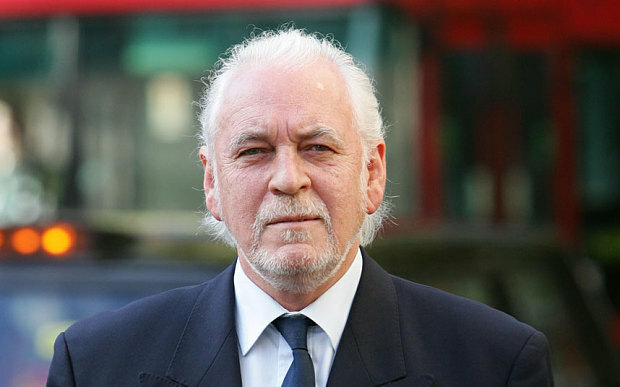 When I started Procol Harum I thought, I’ve been in The Paramounts for three or four years with record contracts, I know everything. When I write a song I’m going to make sure it’s copyrighted. Forty years later turns out the copyright doesn’t really protect the writer. I also hope for most rock artists’ sake that tour and road managers never decide they should’ve had a pension for their 25 years of loyalty. 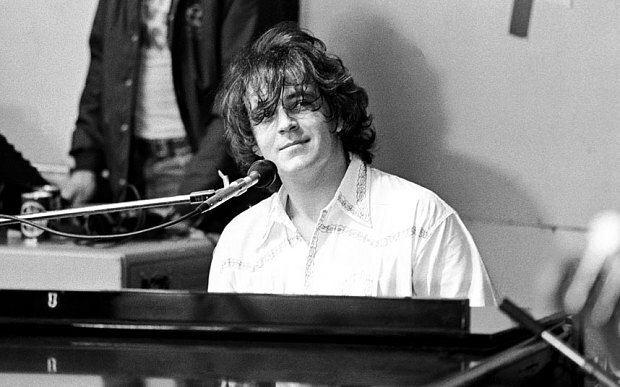 The band is usually surrounded by a lot of people that work with them, particularly out on the road. But they aren’t really protected in that job. What’s the most extravagantly you’ve splashed out? I’m really ashamed that I haven’t. I don’t think extravagance is in my nature. The worst thing I’ve ever done is buy a house to move into before I’d sold the one before. All the agents told me, “You’ll have no trouble selling this.” Three years later I’m still waiting. I never hold back on a good party, but perhaps I don’t have enough imagination to book something outrageous. I also think of the people I’m inviting. You can’t say we’re going to Ocho Rios in Jamaica to celebrate my fiftieth birthday; we’d love to see you there. Nobody would come. Have you saved for your retirement? I’m not retired. Artists in the music business can never know how long their earning power will last. It’s worse than being footballers who, when they’re no longer as good, are still an important part of teams, and if they’re lucky they go into management and really make money. You need a good accountant. Accountants are as hard to find as a decent manager. After many years hearing about Isas finally I did buy an Isa for myself and one for the wife. You were allowed at one point to spend £7,000 in one year. The stock market goes up and down and if you give it a five-year period you will always be up. We bought ours in 2001 and sat waiting for it to grow but nobody told me they’d send jets into the New York World Trade Centre. The bottom fell out of the market and they’re still having trouble now. I can tell it from my Isa. It’s gradually growing. My wife did badly but mine was more risky; I don’t mind a risk. I said put it all into East German concrete and I think mine’s double by now. I think the Indians and the Chinese might come up in the next couple of years. Yes, I wouldn’t have gone through life without a good old rip-off. I did buy a couple of oil wells for about $18,000 [all up], but they didn’t really exist. And if they did they didn’t have any oil in them. The guy I bought them through suddenly was bankrupt, an American trusted friend who must have been mad as well. I was going through a spell that whatever I did I seemed to win. That was a nice lesson in losing. How much money has A Whiter Shade of Pale made? I’ve no idea. As far as fame and fortune goes you get to your comfort zone and then you’re rich enough. I won’t say I’m fortunate but we’ve never had any children. Per child that’s probably saved us £100,000 a year. I see what some of my friends pay for school fees and straw hats with their hockey sticks and uniform: it’s endless, and it’s a huge thing you’d have to go out and work for. How much did the lawsuit over copyright-sharing with Matthew Fisher, Hammond organist on AWSoP, cost you in legal fees? You could probably say goodbye to a million. I haven’t totalled it up because it would frighten me too much. You just lose trust in British justice; I think lawyers ought to be shot. What’s the most you’ve earned at any one time? I think my small part in [Alan Parker’s] Evita would take the biscuit, playing Juan Atilio Bramuglia, the Foreign Minister of the Argentine Government. I can’t remember how much I was paid, but for a couple of days work it was good. Hundreds, thousands, tens of thousands? It’s a means to an end. It means you can build that model railway set you always wanted to without worrying. But it doesn’t mean I’m going to have a 60 foot yacht with a crew. I did buy a girl once who cost me twice the normal price – for the marriage licence because she was from Switzerland. It cost twice what it would’ve for a girl from Southend. It was usually seven and six and I had to pay 15 shillings, and she was worth it because we’re still together and I met her fifty years ago.